Apartment Bobsled is a delightful recently renovated apartment, offering comfortable accommodation. Located walking distance from all the amenities and is available for winter and summer holidays making it an extremely popular property. 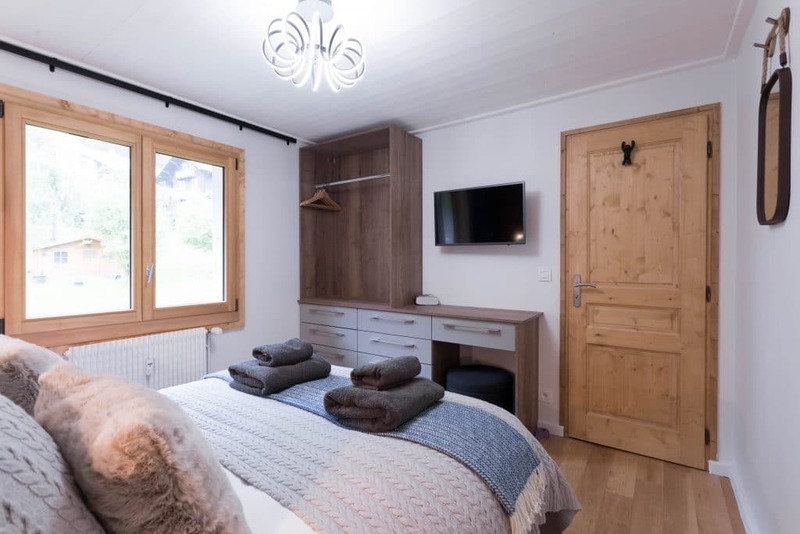 Apartment Bobsled, a newly renovated 2 bedroom apartment set in a quiet location just a short walk away from Morzine’s town center and main ski lifts. 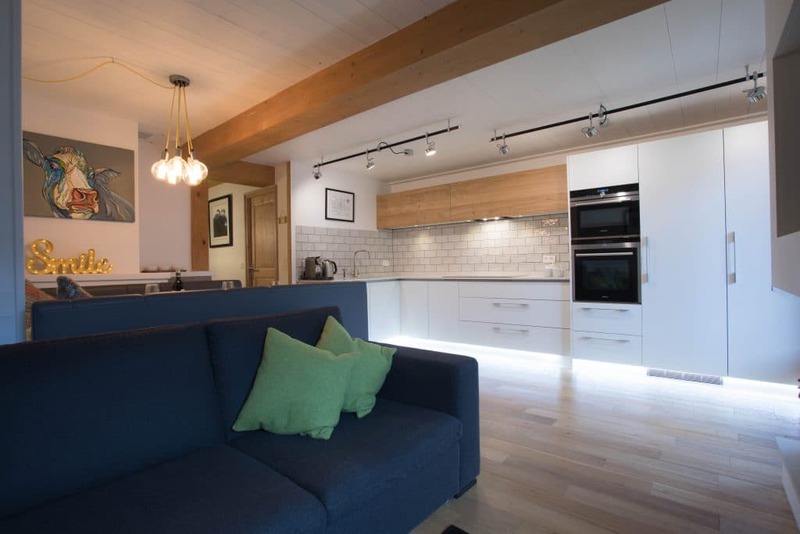 Refurbished and decorated to a high modern standard, with flexible sleeping arrangements for up to 5 people, this sleek apartment offers convenience and relaxing comfort for a winter or summer holiday. A well proportioned modern and bright area with 2 sets of French doors to make the most of the stunning mountain views. The well-equipped, high quality kitchen features a large induction hob, oven, microwave, large fridge, dishwasher, and nespresso coffee machine. Plenty of worktop space and a good selection of pots, pans and utensils make light work of catering for your holiday. 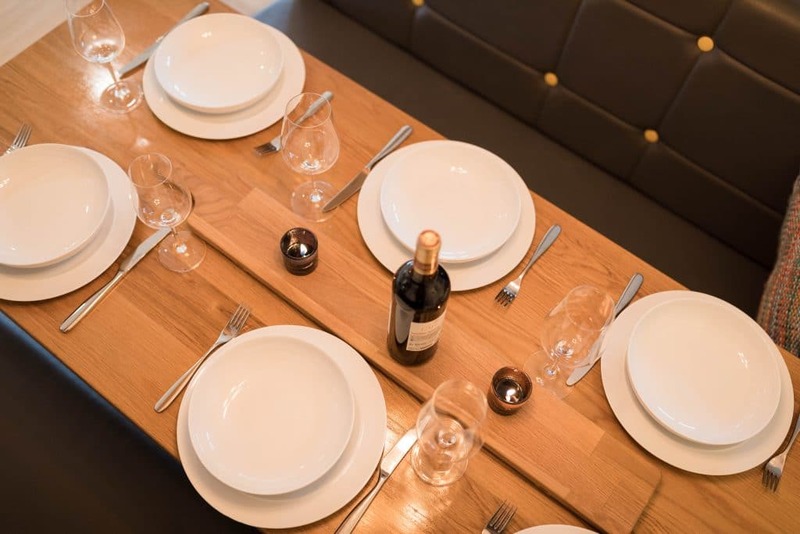 ‘Booth’ style dining table in a central position, with room to seat up to 6 people comfortably. The lounge area centered on a fireplace has a large L shaped sofa* to relax and unwind on after a long day on the mountain. 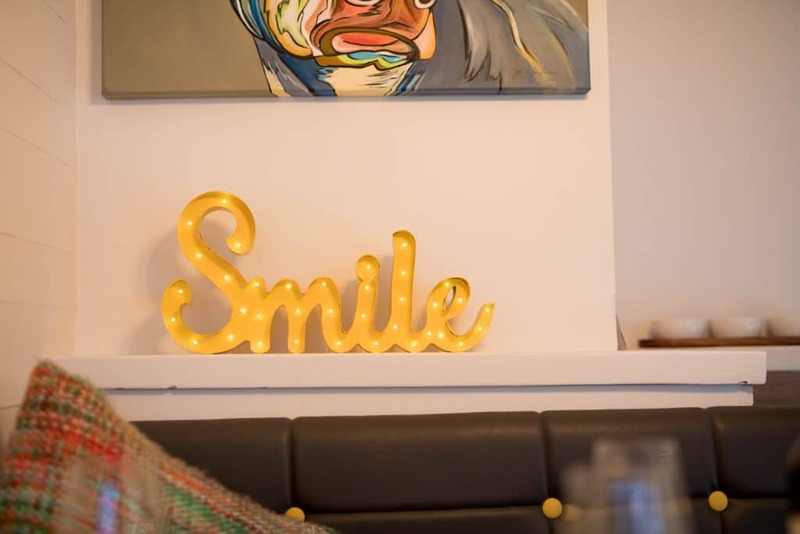 Flat screen TV with UK freeview channels, French TV channels, Wi-Fi, wireless speaker and selection of board games to provide all the entertainment you may need. French doors that lead to a private balcony with wonderful mountain views. *If required, the sofa can be used as a double sofa bed to further the flexibility of the sleeping arrangements. Please ask us for further information. Bedroom 1: Master bedroom with king size bed, built in wardrobe and dressing table console. Wall mounted flat screen TV with access to UK freeview channels. Large window looking out to stunning views of the local area. Bedroom 2: Twin bedroom with zip and link beds, (that can be set as a double if required), built in wardrobe and vanity unit console. Wall mounted flat screen TV with access to UK freeview channels. Large window also offering amazing views. 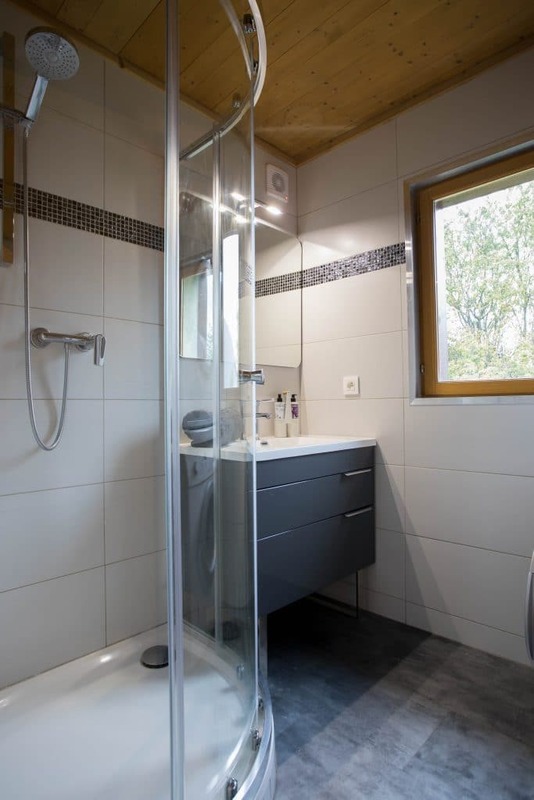 Large corner shower unit with rain head shower. Large sink and vanity unit. Washing machine and tumble dryer. Separate toilet. 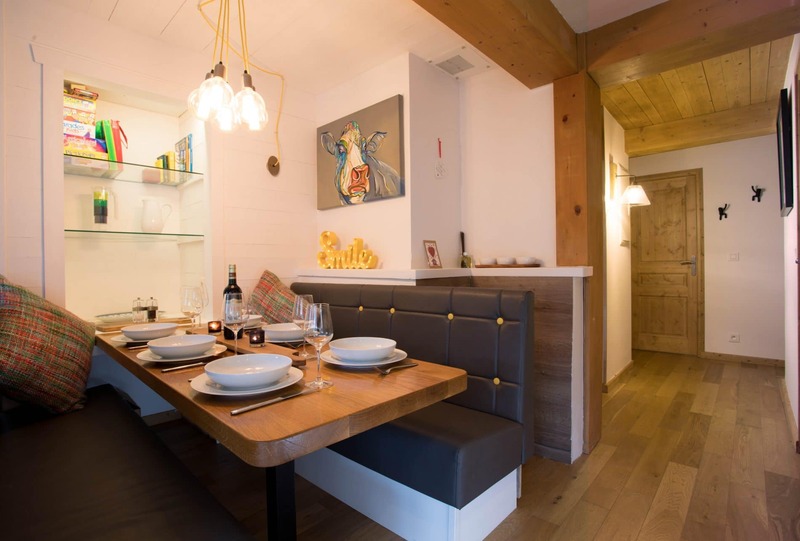 The property is located on the second floor of a small traditional apartment building, comprising of just 10 apartments. 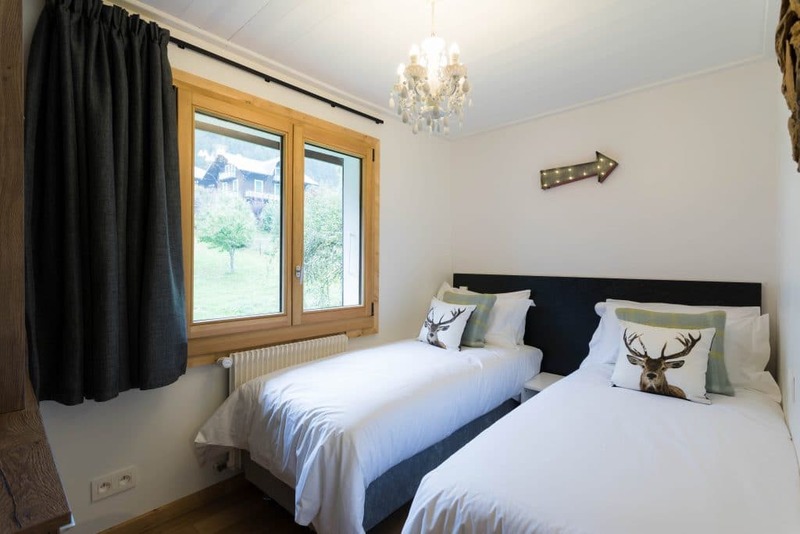 Set in a quiet side road just a 700-meter flat walk from the town center and the Super Morzine bubble lift, with the added benefit of a free ski bus stop just 50 meters walk from the building front door. This location offers the convenience of easy access to all amenities, but away from the noise of the town. Superb Facilities Thoroughly enjoyed our stay at Bobsled, well presented and superb facilities within a spacious 2 bed apartment. Well placed for all slopes and restaurants in Morzine. Will be back. I’m not really one to leave reviews, but after the stay we had I had to! 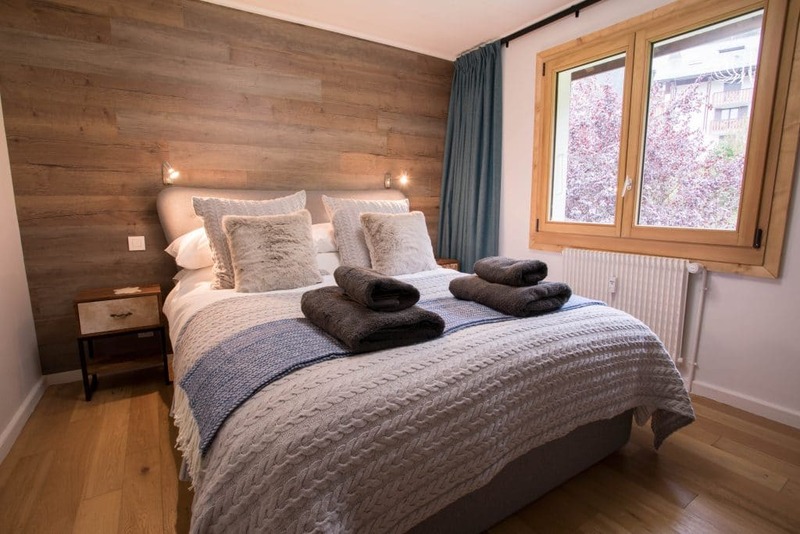 We’ve been to Morzine a number of times now for our skiing holiday and have always stayed nearer to the Nyon lift in relatively budget accommodation, so this time we wanted to try our luck with a more modernised property closer to the centre of Morzine and Bobsled was perfect! This apartment is exactly what it says on the tin, what you see in the pictures is exactly what you get when you arrive at Bobsled. We were over the moon with the high-spec finish and the added extras that made it feel more like home. We arrived at Bobsled quite late in the evening and although we had a bit of nightmare with our transfer from Geneva Airport, Mountain Xtra organised our arrival perfectly so we were able to get in and unpacked straight away! The bottle of red wine was a lovely added touch when we arrived and after a long day of travelling it was great to put our feet up and enjoy some classic British TV including Netflix! Upon our arrival, there was a handbook that gave us tons of information for bus routes, ski storage, ski lifts, emergency telephone numbers etc – which we found really useful throughout our stay! The walk into the centre of Morzine isn’t much at all, a mere 10 minutes to the Tourist Office (bottom of Pleney lift) – or if you are carrying ski equipment, there is a bus stop situated at the end of the road where you can jump on the P & U bus routes that are regular throughout the day! As we wanted to spend some time skiing in Avoriaz, we got the bus to the Super Morzine lift which only took a few minutes! As we were self-catering, we often walked down to the supermarket to get the necessities, which is only a few minutes walk from the apartment. 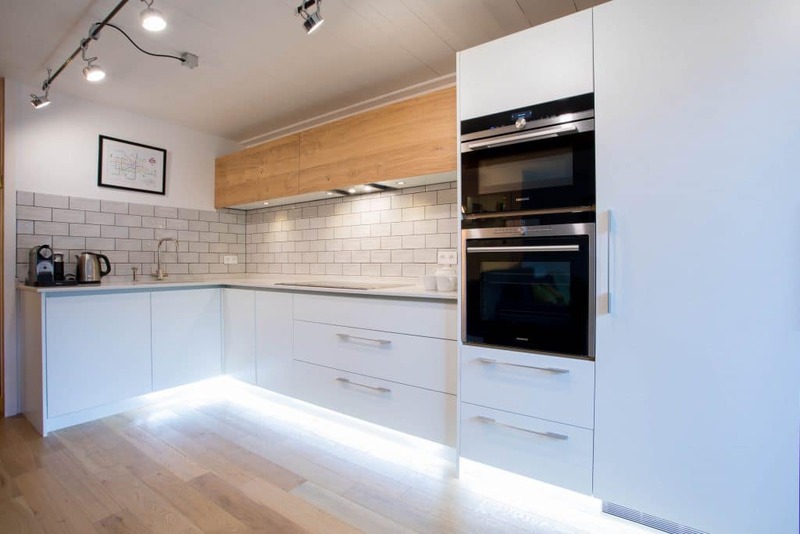 In hindsight, we wish we had utilised the high-spec kitchen – for those that enjoy cooking in full self-catered style, Bobsled is definitely the place to stay! 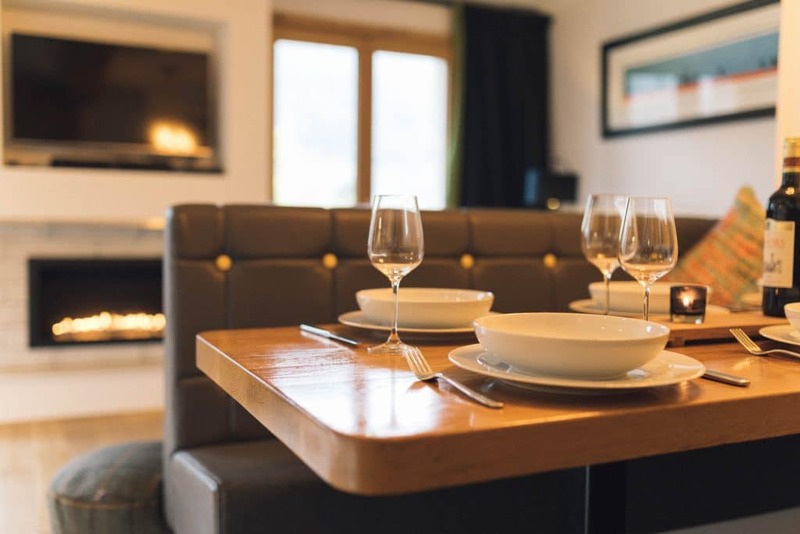 The kitchen / living space is fully equipped with everything you could need and is really spacious with a comfortable, separate dining area for those that like to host nights of their own! Our party consisted of two couples and with our friends only visiting Morzine once previously we wanted to make this trip one to remember! 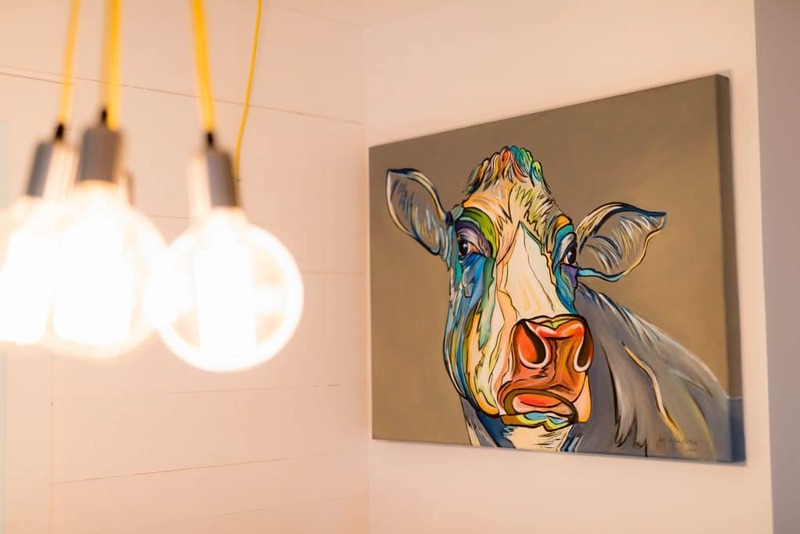 We may have had to flip a coin for which couple got the bigger bedroom and although myself and my partner settled for the smaller of the two we were still not disappointed! Mountain Xtra asked how we would like the beds to be prepared in the smaller bedroom (twin zipper beds that can be arranged into a double – super comfortable!) 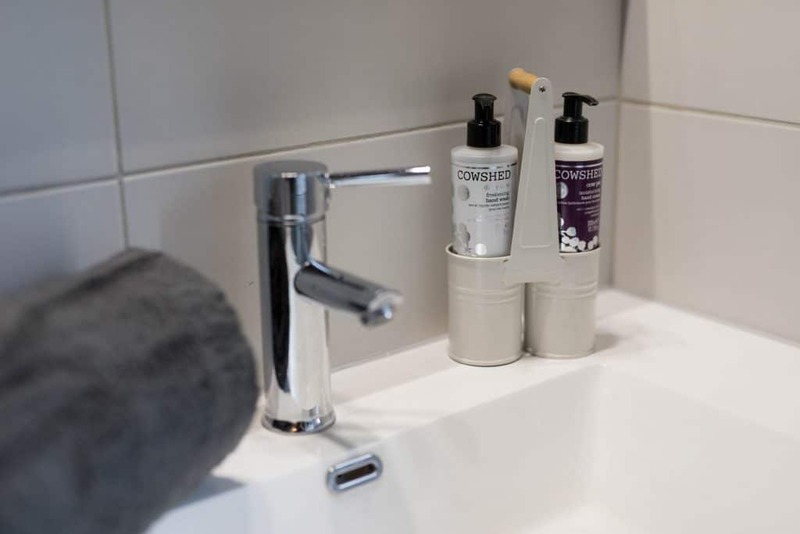 – both double bedrooms were prepared to a high standard when we arrived! It’s worth noting that both bedrooms also come equipped with Smart TV’s! 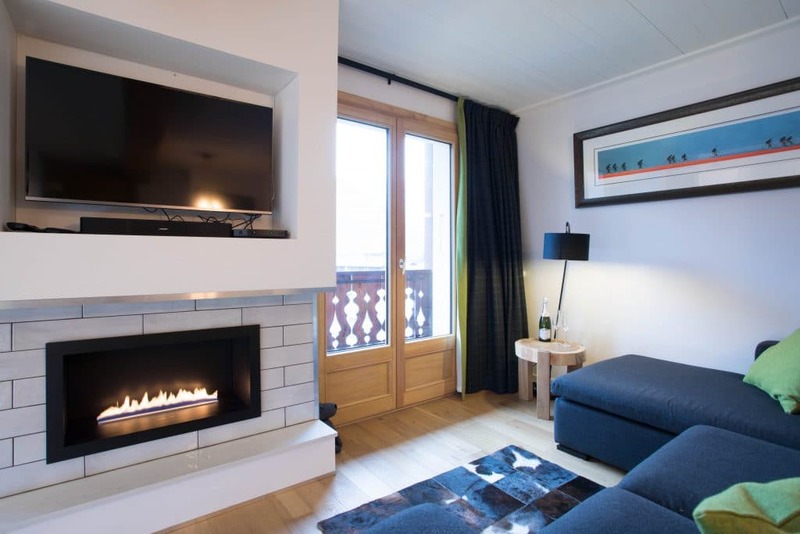 Back to the living area – the high-tech fireplace was a bonus that we LOVED when coming home after being out in the cold! – We did have to contact Mountain Xtra to figure out how to top it up, but they’re no more than a text/phone call away and are really happy to help! But even if you’re happy without the fire, the apartment is filled with blankets and throws to keep you toasty! To get to the actual skiing part – 3 out 4 of us own our own ski equipment, but renting skis for my friend was easy, there are plenty of ski rental shops close to Bobsled, but Mountain Xtra do offer a ski rental service (also in the handbook). In terms of storing our ski equipment, there is a basement/cave with individual ski rooms that can be accessed from inside and outside of the building – At first, we struggled to identify the ski room allocated to Bobsled, but after a quick text message to Mountain Xtra we were able to get our skis locked away for the night! As a self-catering apartment it really is perfect, there is an iron, washing machine and tumble dryer, as well as a maiden which we found really useful when coming home after a day on the slopes, as we were able to dry out our ski gear ready for the next day! I really cannot fault our week-long stay in Bobsled, from the process of booking and securing the property to arriving, staying and leaving – it was brilliant! 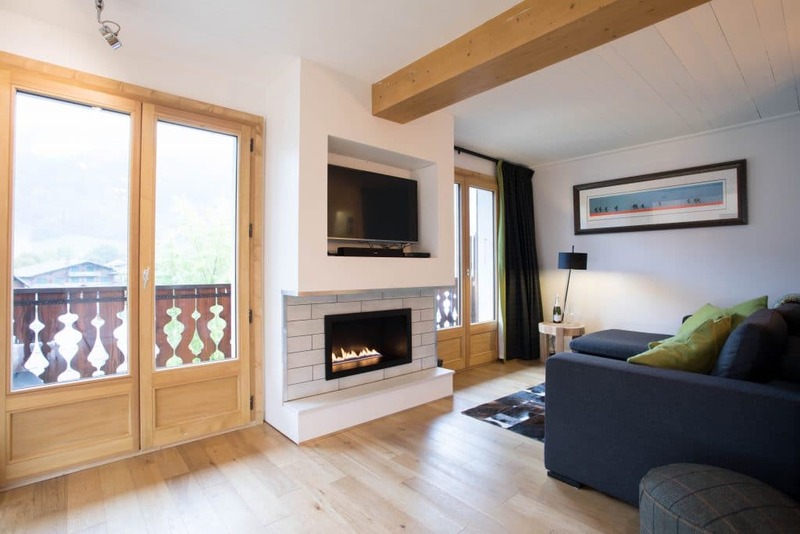 And even when we left Morzine for a 4 night stay in Zermatt, we couldn’t stop talking about how great it was and how we can’t wait to book for Winter 2019. 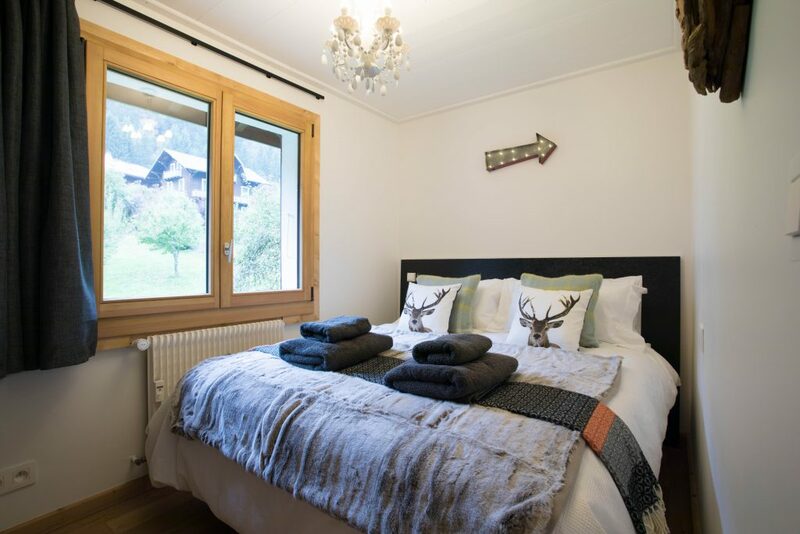 If you’re after Morzine on a self-catered budget, (especially in late January as we did) book a stay in Bobsled! I can’t wait to get our next stay booked, we will definitely be back! Thoroughly enjoyed our stay at Bobsled, well presented and superb facilities within a spacious 2 bed apartment. Well placed for all slopes and restaurants in Morzine. Will be back.